Top 25 Pallavi Jaikishan Bridal Looks to Take Cues From. 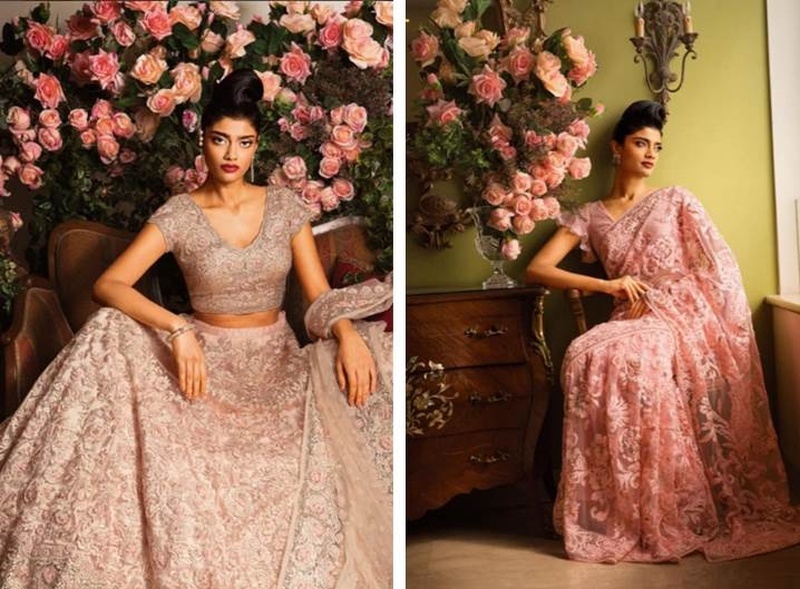 If you’re a bride who loves fashion, you certainly have heard of the name ‘Pallavi Jaikishan’. This renowned designer started off designing 45 years ago and if that’s not something remarkably noteworthy, we don’t know what is. Pallavi had always been into embroidery and craft but what drew her to make it a full-time is the loss of love. The death of her husband Jaikishan, a popular music composer compelled her to channel all her grief and sorrow into something she loved doing – designing. As she ached with the loss of someone so close to her, she made up for the emptiness by dressing countless brides in whimsical outfits. Her signature style is the use of intricate rose motifs and breathable, comfortable fabrics. Pure silks, chiffons and georgettes and widely used in her collections. Her designs are known to be subtle, feminine and romantic – much like the designer herself. Her exquisite creations are available at her store ‘Paraphernalia’ in Peddar Road, Mumbai.